PIQUA — The 2018 Women of Excellence, Connie Strehle of Piqua and Myrna Yoder of Troy, and the Young Woman of Tomorrow, Darby Bubp of Piqua, will be honored at the 22nd annual Women of Excellence Awards Luncheon on Thursday, Oct. 18, at the Piqua Country Club. The reception begins at 11:30 a.m., with the luncheon award presentation from 12-1:30 p.m. The keynote speaker will be Cassie Barlow, COO Southwestern Council for Higher Education. 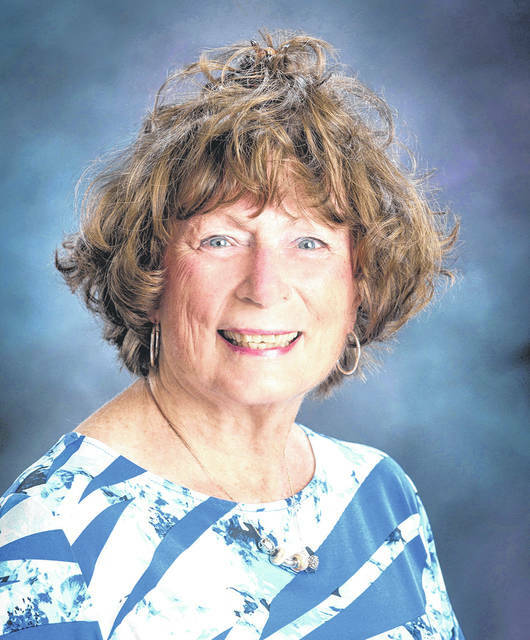 Strehle, who retired this year after 44 years in education, said she loved going to work every day during a career that included stops at the Dayton City Schools, Vandalia Schools, Trotwood-Madison Schools, Miami East Schools and most recently the Piqua City Schools, where she was principal at Springcreek Elementary from 2014 until retirement. A native of Vandalia, she holds a bachelor’s degree in school health from Eastern Kentucky University; master’s degrees in educational leadership and counseling from Wright State University; and a Ph.D. from Miami University. When she headed off to college, Strehle chose to major in education over the options for women at the time of nursing, secretary or staying at home. “I loved activities so I was a physical education major,” she said. Strehle taught for four years before moving into guidance counselor work at Trotwood-Madison. “That was the best,” she said. After eight years in that role, Strehle moved into administration for the remainder of her career. “I really liked it when my superintendents gave me a task and said, ‘Go do it.’ You don’t accomplish it on your own. That’s where I really liked building teams and to work as a team because you can accomplish so much more,’” she said. 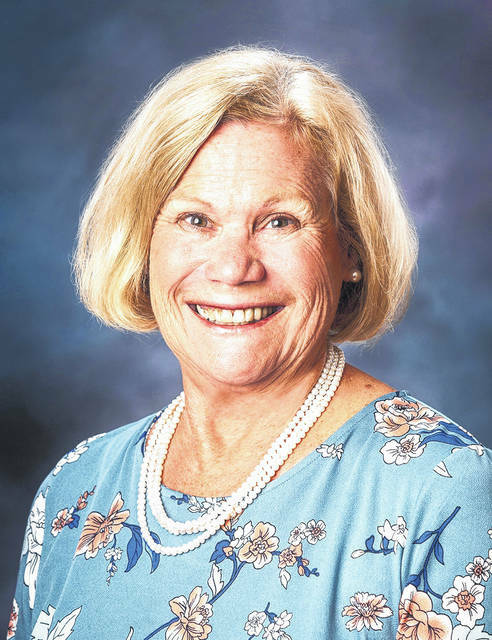 She credited her parents, the late Donald Palsgrove, and her mother, Roberta Palsgrove, who was a school secretary in Vandalia and now lives in Piqua, with playing a key role in her life. Strehle said her advice to other women is to go after what they want. “I wanted a career, but I also wanted a family, and I had both. If you have a goal I mind, go after it. I never had anyone tell me, ‘You can’t do that,’” she said. “I have been blessed with health, the relationships I have built in education and opportunities have been afforded to me. I really get a lot of pleasure out of seeing past students be successful. It is like the Chessie cat just smiling,” she said. Yoder has been happy to live a life of service to teaching, her family and the community, all with a smile on her face. “I want to make a difference in this life. That is why I do all the stuff I do. And I do it with a smile on my face because if you aren’t smiling, you aren’t very good to look at,” she said with a laugh. A native of Union Township in Miami County, Myrna Mote attended Bowling Green State University, where she met her future husband, Ray Yoder. Her service began as a teacher of high school mathematics. “I loved it. I loved teaching,” she said of the years in the classroom while Ray attended dental college. When the couple started having children, she stayed home and assumed all the roles that entails. “I had the sandwiches ready when we were ready to go somewhere. I was happy to do that. Those were wonderful years,” she said. She and Ray, a longtime area dentist and Miami East Schools supporters, have five children and eight grandchildren. He passed away in 2005. The children are Jay, Brett, Megan, Tim and Holly. Following Ray’s death, Yoder needed to find something to do. The American Red Cross came to mind as the nation was in the midst of hurricanes including Katrina. “I checked it out and was deployed that fall when there was one hurricane after another. For many years, the Red Cross really became my second family,” she said. “I wish I had a hundred Myrna Yoders volunteering at the American Red Cross, but I am thankful to have the one Myrna Yoder that we have,” said Marc Cantrell, Red Cross disaster program specialist, who said Yoder brings a family atmosphere to meetings with her personality and homemade cookies. Yoder currently shares Red Cross fire response tasks for the organization, being on call 24/7 one week at a time. If there is a fire and help is needed for the family, she provides immediate assistance and checks on them and their needs during the recovery. “I love doing the casework that will bring relief to families who have lost their possessions, their homes due to a disaster. I think that has become my existence, trying to meet needs, to help with my family and at all levels,” she said. In addition to those tasks, she has taught GED and English as a Second Language, serves as an election official, is on the Miami Valey Career Technology Center Board of Education, is active in the First United Methodist Church and its Wednesday night dinners and summer camp for children, is active in support of Miami East schools and is director of Fish of Troy, Inc.
Bubp has had no qualms about sharing her voice, whether through the Piqua Show Choir or the Youth in Government program. 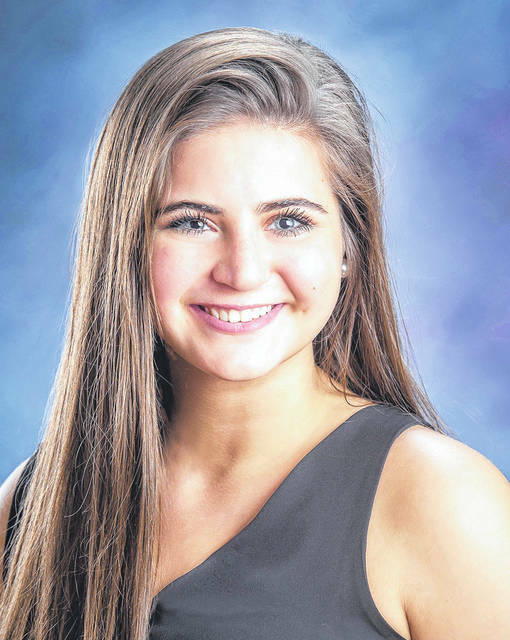 The 2018 Piqua High School graduate recently began pursuing her college education studying government at Georgetown University in Washington, D.C.
Bubp is the daughter of Bradley and Maria Bubp and has a younger sister, Dana. She was co-valedictorian of her class and participated in an array of activities from Interact Club, National Honor Society, Science Fair, Speech and Debate Club, YMCA Leaders Club, Student Council and Special Olympics volunteer, among others. Bubp credited the YMCA Youth in Government program with playing a key role in her life. When she transferred to public schools from a private school in seventh grade, Bubp said she was extremely shy. To help, her parents looked for clubs, including that program. “The club is focused around an annual trip to the statehouse in Columbus, where students present bills that alter or create new Ohio state legislation,” she said. “Because it was my first year, I was a page and wasn’t allowed to speak. Hearing bills and not being able to speak my opinion on them was absolutely infuriating and I hated the helplessness that I felt as a result of being silenced. Even since then, I have always known that I want to have a voice in government. Her role model is her mother. “She is by far the most selfless person that I know, and she has made endless sacrifices for our family. She is strong, humble, intelligent, and caring, and I strive to live my life by her example. I hope to one day inspire someone like she has inspired me,” Bubp said. Bubp’s advice to other young women is to never doubt their self-worth. “Confidence is something that can’t be purchased or taught; it is gained only when someone is audacious enough to trust in themselves and take a risk. Get involved and share your opinions with the world, because no opinion is invalid,” she said. Tickets for the Oct. 18 gala are available at the YWCA Piqua, 418 N. Wayne St. Seating is limited. For more information or to reserve a ticket, stop at the YWCA or call (937) 773-6626.